Please note that the Host is not ADA compliant with adequate facilities for the disabled. Those who wish to attend in spite of this will be accommodated to the best of BPA's abilities with tables in alternate rooms when we are given sufficient notice. Direct questions to the Convention Director at conventiondirector@boardgamers.org. 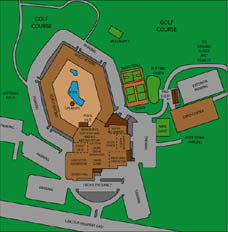 Access by car is easy and parking is ample and free. For assistance with carpooling from an airport, contact travel@boardgamers.org with expected arrival and departure times. Sun Air offers several round-trip flights daily between Lancaster and Washington Dulles airports for about $100 roundtrip. NOTE: The hotel offers its guests complimentary Shuttle Service to and from the Lancaster (LNS) airport. Anyone who would like to use this service should advise the hotel of their arrival times AFTER booking their reservations and AT LEAST 24 hours (but not more than one week) PRIOR to arrival. The closest airport with the best access is Philadelphia. From the Philadelphia airport, take the Septa Airport Line to the 30th St. Station, where Amtrak runs 10 trains daily to and from Lancaster for about $30 (round trip). It is also possible to fly into BWI airport in Baltimore and into Harrisburg. NOTE: The hotel offers its guests complimentary Shuttle Service to and from the Lancaster Amtrak Station. Anyone who would like to use this service should advise the hotel of their arrival times AFTER booking their reservations and AT LEAST 24 hours (but not more than one week) PRIOR to arrival. 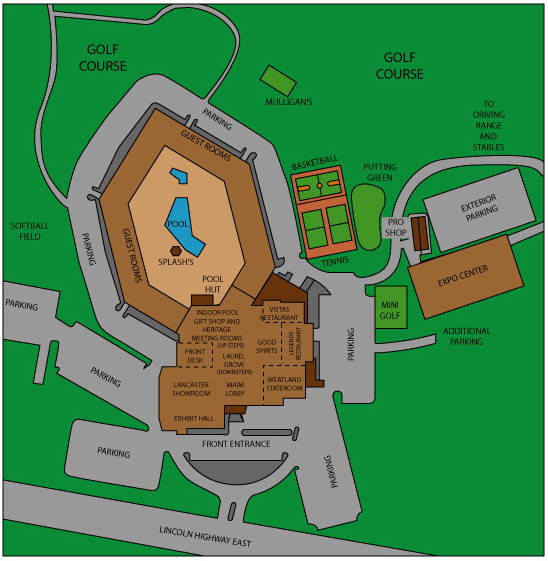 Lancaster Host Resort - The BPA recommends the Lancaster Host, where all the WBC tournaments will take place. Be sure to mention World Boardgaming Championships to get the most favorable rate. Rate includes free daily breakfast buffet. Lancaster Host is nearly sold out for WBC 2015. Those seeking a room with a single bed can often be accommodated. Ask to be added to the Waiting List in order to be contacted in the event rooms become available as a result of cancellations. If you requested a reservation for 2015 during WBC and you do not receive confirmation in a timely manner, contact the Host directly. NOTE: Call the Lancaster Host Reservation Line in order to reserve your room. DO NOT use the on-line reservation system, as it will not provide you with the contracted rate or count towards BPA’s roomblock obligations. The Host is not ADA compliant with adequate facilities for the disabled. Those who wish to attend in spite of this will be accommodated to the best of BPA's abilities with tables in alternate rooms when we are given sufficient notice. Rate is subject to a Pennsylvania occupancy tax, which is currently 11%. One night's deposit, $126.54, which will be credited to the guest’s last scheduled night of stay, is required with each reservation. Deposits can be made with a check, money order, or credit card. Credit cards are charged immediately. Cancellation 30 days prior to arrival at no penalty (deposit will be refunded). Any reservations canceled after 30 days prior to arrival will forfeit one night’s deposit. As there is a $50 fee for early check-out, ensure that the dates of your stay are correct when you check-in. FOREIGN GUESTS: As the hotel does not offer foreign exchange, be sure to visit the Foreign Exchange Office at the airport where you arrive, use a local ATM, or visit a local bank or American Express Travel Office for your cash needs. There is an ATM in the main lobby of the hotel. While the hotel accepts major credit cards, BPA does not, so convention registration and auction purchases must be paid for in American currency or checks drawn on US banks. There is a $25 charge for any returned check. OVERFLOW HOTELS: Lancaster Host always sells out early for WBC. Fortunately, there are a number of convenient hotels at every price range within walking distance. We recommend the Continental Inn as offering the best combination of affordability and convenience. BPA has negotiated a favorable group rate with the Continental Inn which offers especially good value for the budget conscious with a free breakfast package. However, WBC occurs during the tourist season and sellouts are common so make your reservations early. Be sure to identify yourself as with the WBC (World Boardgaming Championships) to get our special group rate and credit the conference with your stay. Continental Inn: The Continental Inn is directly across the street from the Host. The short walk across the street is aided by a newly installed traffic light. The amenities include indoor and outdoor pools and jacuzzi, remote, color cable tv, free wireless internet, refrigerators, coffee makers, and more. A complete, complimentary hot breakfast is included to start your day. (Please note that gratuity is not included.) The special WBC rate is $99 per day plus applicable taxes per single thru quad occuancy with 1 King or 2 Double Beds. Rollaways beds, if requested, $10 additional. Deposit: A three-night minimum stay is required for this special group rate. One night's deposit will be required upon booking. Deposit is refundable up until 48 hours prior to arrival. Phone 717-299-0421 to make your reservation or email info@continentalInn.com for a callback by the reservationist. Alternatively, you may book on line at http://www.continentalinn.com at the regular rates and identify yourself in the comments as claiming the WBC rate providing you are booking the three-night minimum stay. This offer is valid until July 1, 2015, or our room block sells out, whichever occurs first. This rate covers Pre-Cons and extended stays. Old Mill Stream Campground - Only 1/2-mile from the convention facilities. Old Mill Stream Campground offers more than 160 private camping sites (primitive to full hook-ups), modern shower and restroom facilities, cable TV and modem hook-up, gameroom, rental cars, two laundromats, a country store with LP gas, ice, firewood and other conveniences. Accessible for campers with disabilities. Pets are permitted on leash. Mastercard, Visa, Discover, MAC and personal checks accepted. 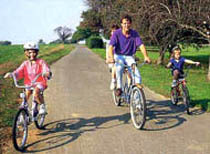 CANCELLATION POLICY: CANCELLATION 24 HOURS PRIOR TO ARRIVAL AT NO PENALTY. CANCELLATION LESS THAN 24 HOURS PRIOR TO ARRIVAL WILL BE CHARGED FOR ONE NIGHT. The best airport destination will vary, depending on your particular carrier and flight connections. Flying into Philadelphia is generally the easiest way to get to Lancaster. Travelers planning to use Amtrak to connect to Lancaster are advised to consult rail schedules before booking their flights. If you wish to car pool from the various airports, list your expected arrival and departure times when you preregister. Preregistration information will be listed closer to the convention. Cape Air offers five round-trip flights daily between Lancaster and BWI airports for about $50 each way. Cape Air has ticket and baggage agreements with most major airlines. Call Cape Air at 800-352-0714, use Travelocity or Expedia, ask a travel agent, or book online at flycapeair.com. In addition, Books of 10 one-way tickets can be purchased for a discount. Each coupon is good for any flight, any day, any time. These tickets can be used by individuals, friends, or families for unrestricted travel. NOTE: The hotel offers its guests complimentary Shuttle Service to and from the Lancaster (LNS) airport. Anyone who would like to use this service should advise the hotel of their arrival times AFTER booking their reservations and AT LEAST 24 hours (but not more than one week) PRIOR to arrival. The closest major airport is in Philadelphia (PHL); it is approximately a 60-mile drive to/from the convention site. Information about rental cars and other transportation options can be found at the PHL Airport Visitor’s Guide page. Driving directions are here. Directions to the convention site via train are here. NOTE: The hotel offers its guests complimentary Shuttle Service to and from the Lancaster Amtrak Station. Anyone who would like to use this service should advise the hotel of their arrival times AFTER booking their reservations and PRIOR to arrival (but not more than one week prior to arrival). The next closest major airport is Baltimore Washington International (BWI) which is about 90 miles away. Information about rental cars and other transportation options can be found at the BWI Airport Ground Transportation page. Driving directions are here. Directions to the convention site via train are here. NOTE: The hotel offers its guests complimentary Shuttle Service to and from the Lancaster Amtrak Station. Anyone who would like to use this service should advise the hotel of their arrival times AFTER booking their reservations and PRIOR to arrival (but not more than one week prior to arrival). The Harrisburg (MDT) airport is served by several airlines. It is about 50 miles away. Philadelphia Airport: P.I.A. Services/Thomas Cook offers passengers foreign currency exchange. They are located in C Concourse, Terminal A-West, Terminal A-East and Terminal D. In addition, there are 15 automated teller machines (ATMs) throughout the airport. Locations can be found on the Philadelphia Airport web site under Services. BWI Airport: Travelex Business Services Centers offer passengers foreign currency exchange. One is located behind the Information Desk near the entrance to Concourse C. The hours of operation are 6:30 a.m. to 8:30 p.m. An additional Travelex Center is located adjacent to the Garden Court Caf� in the International Terminal near the entrance to Concourse E. The hours of operation are 2:30 p.m. to 8:30 p.m. For more information call 410-859-4466. American Express Travel Offices: There are three offices in Philadelphia and one office in Baltimore. For additional information, visit the American Express web site. Take I-95 SOUTH to Rt. 322 West. Take Rt. 322 NORTH until you reach Rt. 1. Take Rt. 1 SOUTH to Rt. 41. Take Rt. 41 NORTH to Rt. 30 WEST. The hotel will be on the LEFT. Take the Pennsylvania Turnpike WEST (I-76 WEST) to exit 286 toward Rt. 222 SOUTH. Follow Rt. 222 SOUTH to Rt. 30 EAST. Follow Rt. 30 EAST for 5 miles. The hotel will be on the RIGHT. Take I-195 West to exit #2A towards BALTIMORE (I-695) onto MD-295 NORTH. Take I-83 NORTH for 55 miles. Take exit #21A towards US-30 EAST/ARSENAL RD. Follow US-30 EAST for 30 miles. The hotel will be on the RIGHT. Take I-83 NORTH for 55 miles. Take exit #21A towards US-30 EAST/ARSENAL RD. Follow US-30 EAST for 30 miles. The hotel will be on the RIGHT. Take Rt. 283 EAST to Rt. 30. Follow Rt. 30. The hotel is on the RIGHT. Take the Pennsylvania Turnpike EAST (I-76 EAST) to Rt. 222 SOUTH. Follow Rt. 222 SOUTH to Rt. 30 EAST. Follow Rt. 30 EAST for 5 miles. The hotel will be on the RIGHT. Take the New Jersey Turnpike to the Pennsylvania Turnpike. (I-95 SOUTH to I-276 SOUTH to I-76 WEST.) Take exit 286 toward Rt. 222 SOUTH. Follow Rt. 222 SOUTH to Rt. 30 EAST. Follow Rt. 30 EAST for 5 miles. The hotel will be on the RIGHT. Take 66 WEST to 691 WEST. Take 691 WEST to 64 WEST. Take 64 WEST to 689 SOUTH. Take 689 SOUTH to 287 SOUTH. Take 287 SOUTH across the Tappanzee Bridge to 78 WEST. Take 78 WEST to Rt. 222 SOUTH. Follow Rt. 222 SOUTH to Rt. 30 EAST. Follow Rt. 30 EAST for 5 miles. The hotel will be on the RIGHT. 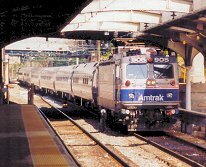 From the Philadelphia airport, take the Septa Airport Line to the 30th St. Station, where Amtrak runs 10 trains daily to and from Lancaster for about $30 (round trip). The Lancaster Host offers its guests complimentary Shuttle Service to and from the Lancaster Amtrak Station. Anyone who would like to use this service should advise the hotel of their arrival times AFTER booking their reservations and PRIOR to arrival (but not more than one week prior to arrival). Regional Service connects the BWI Airport Rail Station to the Philadelphia 30th Street Station where you can connect to an Amtrak train to Lancaster. The Lancaster Host offers its guests complimentary Shuttle Service to and from the Lancaster Amtrak Station. Anyone who would like to use this service should advise the hotel of their arrival times AFTER booking their reservations and PRIOR to arrival (but not more than one week prior to arrival). Amtrak’s Northeast Corridor route stops at Philadelphia's Penn Station, where you can transfer to the line to Lancaster. The Lancaster Host offers its guests complimentary Shuttle Service to and from the Lancaster Amtrak Station. Anyone who would like to use this service should advise the hotel of their arrival times AFTER booking their reservations and PRIOR to arrival (but not more than one week prior to arrival). Vista Restaurant offers an Amish Breakfast Buffet featuring fresh fruit, pastries, fluffy scrambled eggs, bacon & sausage, home fries and plenty of other delectable treats. Lunch includes specialties from a contemporary menu. Legends offers a club-like setting and sophisticated dining with a wide variety of choices. The Executive Chef uses only the finest ingredients for his perfectly prepared regional specialties. Good Spirits, located in the main lobby, is a great place to wind down the gaming day and enjoy your favorite beverage. There is a lite fare menu with great appetizers. Mulligans is a cafe located on the 10th tee. It is home to the best burger on the fairway, offers ice-cold beer, and features Scoops, an old-fashioned hand dipped ice cream parlor. Splash's is a cafe that gives you the chance to relax by the pool with a Pina Colada and Strawberry Daiquiri. In-room dining is available in the hotel. For other options, visit the Dining Directory at the Pennsylvania Dutch Country Welcome Center. Weather in Lancaster during summer is hazy, hot and humid. The average high temperature in August is 83 degrees F (28 degrees C). The average low temperature is 63 degrees F (17 C). Many people fly to WBC and are limited as to what they can carry. But for those of us who drive, it is a small matter to throw an item or two in the trunk in case it is needed. We suggest you check the following list before closing the trunk for departure. GAMES: Every year we turn people away from events for lack of games. When deciding who plays and who does not, the ones who have brought a copy of the game get preference. Since many of the games played at WBC are no longer in print, they cannot be bought on the premises. If you intend to play a game at WBC, especially a two-player game, make sure you bring it. SWIMSUIT: A quick dip in the pool—there is both and indoor and an outdoor pool—or a relaxing stint in the jacuzzi can cure what ails you. If the family is in tow, this is a must. GOLF CLUBS: If you need to get outside for a break, the Lancaster Host Resort offers 18-hole championship golf course, driving range, lighted putting green. PROPER ATTIRE: Lancaster in the summer is usually a hot, humid place so visitors should plan accordingly. However, the air conditioning system can make the ballrooms cool while trying to control temperatures in the smaller meeting rooms. You may want to pack a sweater. What NOT to Bring 1. COOLERS: Our hotel contract precludes any of our attendees from bringing their own food or beverages on site. Hotel security will require the removal of any coolers found in the various meeting rooms. 2. SMOKING: Smoking is prohibited in all meeting rooms of the hotel. Attendees who wish to smoke must do so outside. PLEASE do not open windows to facilitate smoking. Even if you play games from sunrise to way past sundown, your friends and family may want to do a few other things. Lancaster County and the scenic Pennsylvania Dutch Country is an area that visitors have grown to love. Lancaster County is one of America's favorite vacation destinations. More than five million people visit Lancaster County each year. 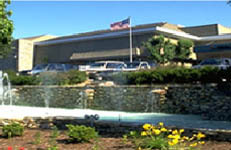 The Lancaster Host Resort offers a variety of family amenities, including indoor and outdoor swimming pools, and 18-hole championship golf course, game room, ping pong and pool tables, shuffleboard, driving range, lighted putting green, fitness center, 1.9 walking/jogging trail, volleyball, miniature golf, and bike rentals. Golf: BPA will NOT be hosting any type of organized golf outing. However, WBC attendees are certainly welcome to use the course at their own discretion. With an 18-hole championship golf course right on property, the Lancaster Host Resort is the perfect place to bring your favorite golf partner to relax and play the great outdoors! Green fees including a cart per person are modestly priced at $49.00 per person and reduced to $30.00 per person after 1 PM. It is advisable to call the Pro Shop at 717-299-5500, extension 32 to make tee times in advance. ©Copyright 2008 by the Boardgame Players Association.